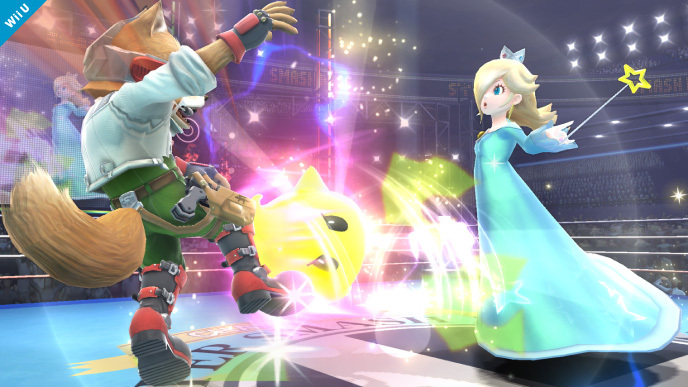 Rosalina and Luma Bring a New Fighting Style to Super Smash Bros.
Super Mario Galaxy's Rosalina will feature as a new character with a distinct fighting style in Super Smash Bros. 3DS and Wii U.
Rosalina joins the roster of Super Smash Bros. for 3DS and Wii U, Nintendo announced during today's Nintendo Direct. 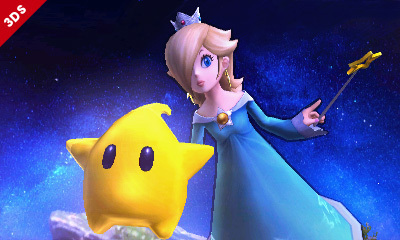 Rosalina's debut is joined by her companion Luma, one of the stars she watches over in Super Mario Galaxy. 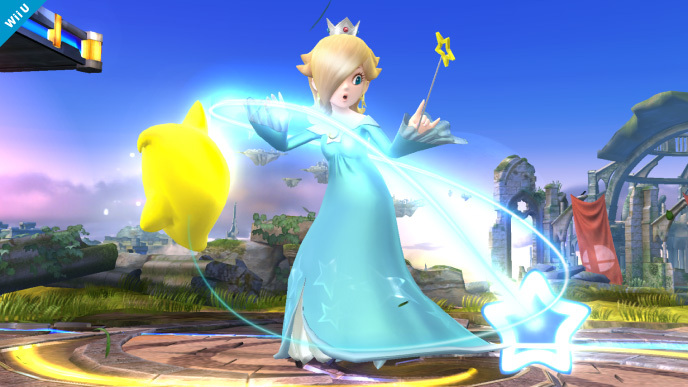 A powerful being with magic, Rosalina may have a fighting style not common in Super Smash Bros.
Footage of Rosalina's reveal shows her directing Luma with her wand to fight by itself or fight in tandem with her. 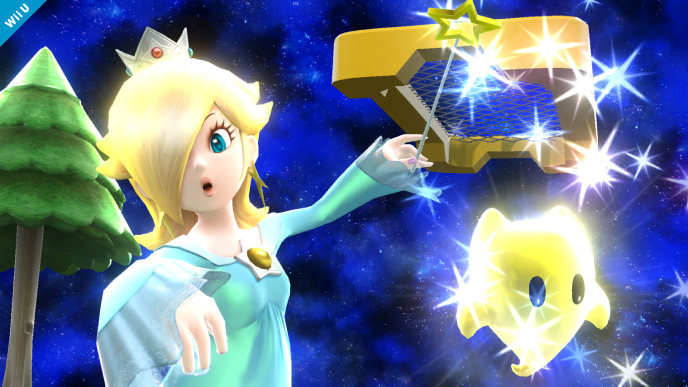 Rosalina acts as a puppeteer, being able to keep herself a safe distance away while using Luma to fight off foes. 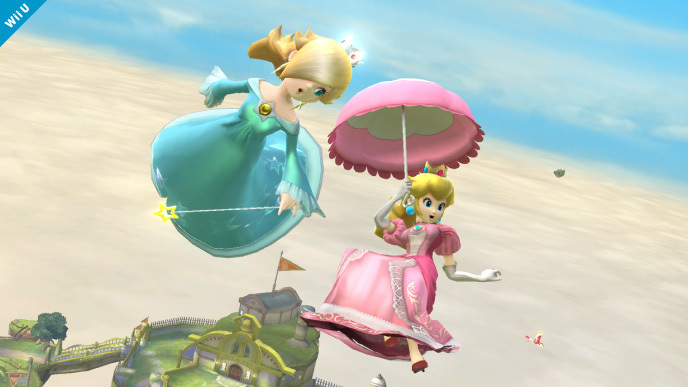 This has not been used in Super Smash Bros. games before, in which we have characters like the Ice Climbers who fight as a team, as Nana will do whatever Popo does. 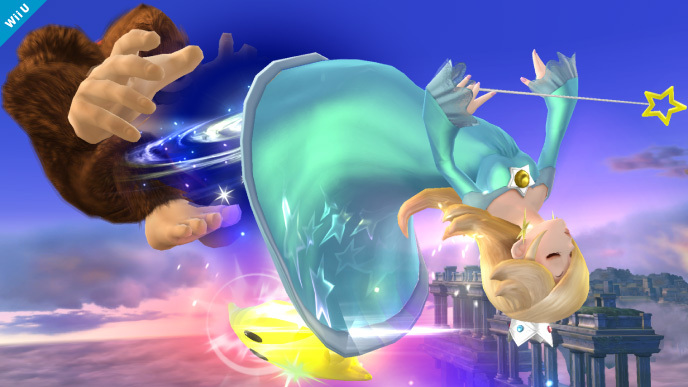 Footage also showed Rosalina redirecting Mario's F.L.U.D.D. move from Super Mario Sunshine and blocking an attack from Mega Man with Luma. 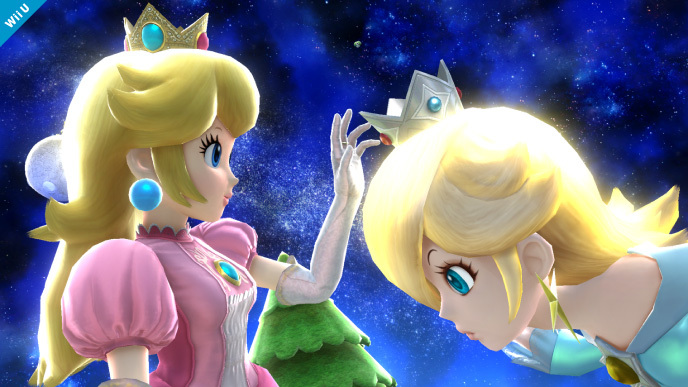 The ways in which players use Luma in conjunction with Rosalina could make a huge difference in Rosalina's effectiveness in Super Smash Bros.
A month ago Super Smash Bros. director Masahiro Sakurai revealed the next Smash will have a Super Mario Galaxy stage. 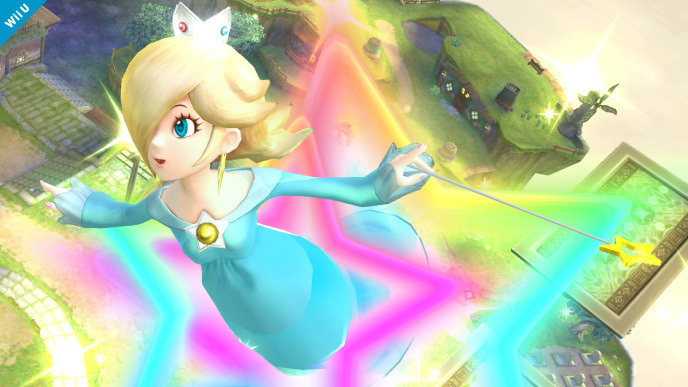 Super Mario Galaxy was a well-received game, and a series Nintendo may revisit. 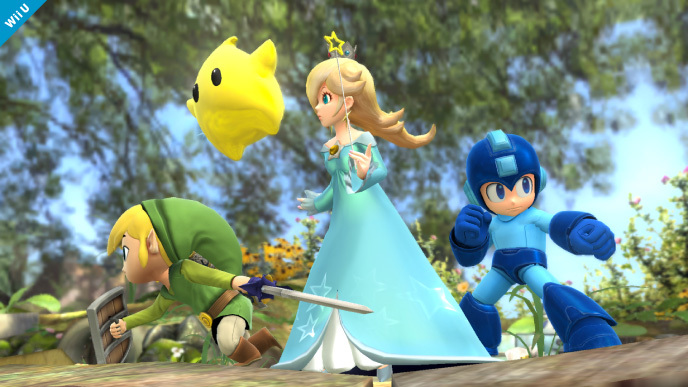 In hindsight, it isn't much of a surprise that Rosalina and Luma join the fighting roster.